Home→Using old style RC gear→What’s so great about Glow Engines? In the early days of model airplanes, there were control line planes and free flight planes, and a model plane engine ran on gasoline. It had a battery and a coil to make a spark. This was way before my time. When RC became the next big thing, the glow engine came with it. For the next five decades or so, glow engines were synonymous with model airplanes. I have spent most of my time in the RC hobby during the golden age of the glow engine, which today has given way to the electric motor. Now that electric power has overtaken glow power in popularity, I’ve noticed that newcomers to the hobby tend to treat glow engines with suspicion, and I’m pretty sure this attitude is encouraged by long-time RC pilots. It seems weird to me that most of the guys who spent decades having a ton of fun with glow engines suddenly can’t say anything nice about them. It’s as if we all got old and decided that noise and oil were just too much trouble, so the new guys shouldn’t bother with it either. As you might have guessed, I’m not one of those guys. I’ve been playing with glow engines since 1986 and I still think they are super cool. If you are just now getting into the hobby and you are being steered away from glow engines, you might want to think again. Glow power still has some advantages over electric, and it’s still a lot of fun. Whenever the glow vs electric question arises, the first point that always comes up is ease of use. With a glow engine you have to carry fuel, pump the fuel into the tank, stick a battery on the glow plug, start the engine, tune it, and then when the flying is done, wipe the oil off the plane. With electric power you just plug the battery in and fly. But when the battery is dead, you have to wait while the battery recharges. Meanwhile your flying buddy with the glow engine is simply pumping fuel for 30 seconds and then flying again…. and again and again. But the electric pilot could fly over and over if he brings enough batteries, right? Well, that leads us to the next point that I always hear, which is the cost issue. Everybody has heard by now that glow fuel is too expensive, so you would be better off flying electric models. But what about those extra batteries? They cost money, and so does the fancy charger to charge them. Also, LiPo batteries sure seem to have a high attrition rate. You could compare the cost of glow fuel to the cost of ongoing battery replacement. I think you have to weigh these two points against each other and decide if you want to buy a bunch of extra batteries and charge them all at home, or if you want to deal with oil and some extra field gear. To me it looks like a toss-up. You probably thought I was going to say that glow engines are better because I like them, but I can see how you might take a critical look at the options and choose either one based on logic. Both have conveniences and inconveniences, plus extra costs. This leaves only the most important factor, your personal preference. 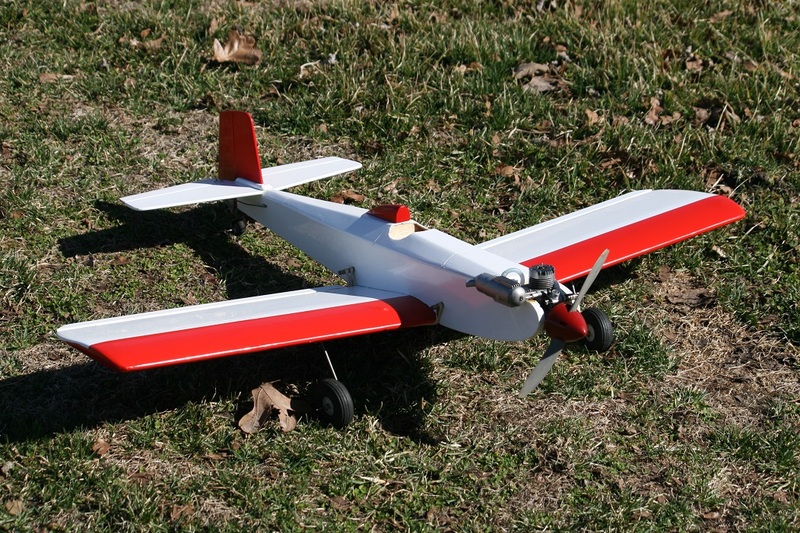 To me, the RC flying hobby is about three things. There’s aeronautical engineering, there’s cultivation of piloting skills, and there is the enjoyment of mechanical equipment. I think all model airplane pilots are into the first two to at least some extent. Some of us are also very much into the third. I really enjoy looking at and using model engines, but I’m sure some people do not. I’m also sure that a lot of RC newcomers would enjoy running model engines, and I’d hate for them to be warned away by older RC pilots because they are “just too much trouble”. For guys like me, engines aren’t trouble that gets in the way of flying a plane. They are a big part of the fun. Oddly enough, in the size range where glow engines have been most thoroughly replaced by electric power, from .049 to .25, the engines are generally quiet (aside from the screaming 049), fuel efficient, lightweight, and very easy to run. The conventional wisdom says that for small planes electric power is the obvious choice. But think again and it doesn’t seem so obvious. With an OS 10 you can fly all day with 12 ounces of fuel and your neighbors won’t even hear you. In addition to being very well mannered and reliable, an OS 10 is just plain cute. A really sharp reader named Dwayne Josefski made another really good point that I didn’t even think of. You can bring two planes of very dissimilar size to the flying field and use the same bottle of fuel for both of them. Electric planes tend to have batteries matched to the size of the plane, which means you bring extra batteries for each size of plane. Some guys stick with one size just to avoid buying more batteries. But one bottle of fuel fits all sizes. That’s a good point! If you’re a new RC enthusiast and you are intrigued by glow engines, go ahead and give them a shot even if your flying buddies are warning you away. They’re a lot of fun. 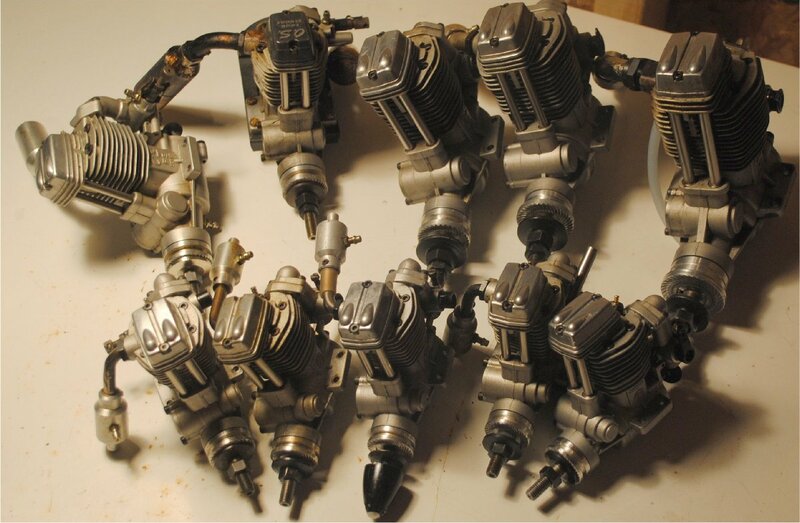 If you want to learn more about them, I have a friend who has a really good youtube channel with engine videos where you can learn to buy, repair, maintain, and run both 2 and 4 stroke glow engines.